Security seals and ties are designed to identify that an item protected by the seal has been accessed by an unauthorised person, i.e. someone has opened a sealed container or drawer, delved inside of a cash bag, opened a door, etc. Insight offers a wide range of uniquely numbered stock Security Seals and Security Ties to stop tampering ...many of which can as an option be customised with customer logo and/or text. 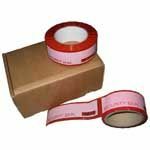 Tape style security seals are used to seal doors, drawers, cases, or even cardboard boxes (your last PC probably came in a box sealed with a security tape). 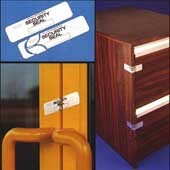 Pull-up, ring type, metal or padlock type seals offer solutions for a wide range of applications. 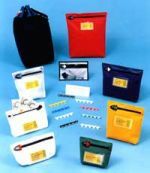 For instance, sealing freight containers or vehicle doors to satisfy customs requirements, sealing ballot boxes, cash bags, fire doors, fire extinguishers, etc.